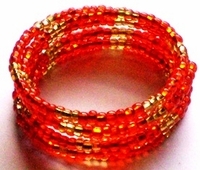 Myriad of brilliantly colored beads in royal colors with gold accents. 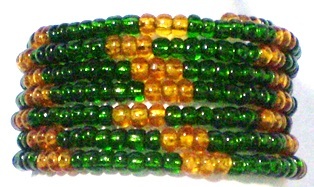 Stylish bracelet is handmade. Memory wire never loses it shape is easy and fun. From the Menyet collection.